Hope you can come and join us in some of our upcoming tours and/or events. New participants are always welcome – both couples and singles. Be sure to look at our Tours pictures in the Photo Gallery (click on link at top of Home page). Note: Please let Karen know if interested in the SF Opera ASAP (Details at bottom). Here are Broadway Musicals that I have some designated seats for at group rates. One can also get discounted group seats for these shows & more on the online group website set up for our MOAA membership (see link at bottom). * June 12, 2019 (Wednesday), 7:30 p.m, Popejoy Hall – BEAUTIFUL, The Carole King Musical (Broadway Musical): “… tells the inspiring true story of King’s remarkable rise to stardom….” Discounted group cost for Premium seats (rows E-G) is $92/person (including fees). Second Price seats (Rows N-P) cost is $70/person (including fees). Guests welcome, paying additional $2 guest fee, unless family or houseguest. Payment is due ASAP or NLT May 10. To date, 25 participants. * Call Karen at 856-1927 or email kmbrown8@comcast.net to find out available seats. Mail check, written to ABQ MOAA Tours, to Karen Brown, 962 Antelope Ave NE, Albuquerque, NM 87122. Here is the group link for our Albuquerque Chapter, MOAA, that you can click on to order your own seats for these Broadway performances or other Ovations performances at the group price including $3 group fee plus an added $3 fee per transaction, which ends up less than regular rate with higher fees. Click on unmtickets.com/MOAA. You do not need to enter the code, as it will already be applied. You can then pay for your tickets by credit card & they will be mailed to you. Note: the price will update with the group rate after you select your seats and hit “Continue. * July 19, 2019 (Friday) – Santa Fe Opera “LA BOHÈME”: “Conductor Jader Bignamini and director Mary Birnbaum bring Puccini’s boisterous, poignant, heartbreaking score to life onstage.” This opera is sung in Italian with Opera Titles on a display screen in front of every seat, offering instant translations in your choice of English or Spanish. We reserved 36 seats in Section 3 for the 8:30 p.m. performance. Group cost is $180/person, which also includes Herrera coach transportation plus Preview Buffet Dinner, including wine and dessert, at the SFO’s open-air cantina on the beautifully landscaped rehearsal grounds. A guest speaker offers an informative preview talk about the evening’s opera during the dessert course. Total payment is due NLT May 1, 2019. Those who have paid $100 deposit, now owe $80/person balance. Guests welcome, paying additional $2 guest fee, unless family or houseguest. We depart Tanoan Country Club at ~4:45 p.m. To date, we have 33 participants – 3 seats available. Cancellation of any trip/event may result in loss of money, unless space is filled. Note: These prices are subject to small changes. You will be notified of any change. 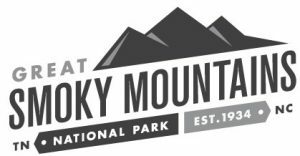 May 15-20, 2019 (6 days): ASHEVILLE & THE SMOKIES: There is such a variety of beauty and activities in this tour! For detailed brochure, click on this link: Asheville-The Smokies. This trip is full! August 28-September 12, 2019 (16 days) SCANDINAVIA BALTIC CRUISE: Sail the clear waters of Scandinavia and the Baltic on the 16-day trip. For detailed flyer, click on this link: Scandinavia Baltic Cruise. This trip is closed out with 23 participants, 19 from MOAA. Upcoming 2020 Globus Tour of Scotland is being planned. Stay tuned for more details.